Hosting a party at home is always more trouble than it’s worth. While you can celebrate in the comfort of your own home, it is both stressful and time consuming when it comes to tidying up your house and making sure that there is enough space to fit all of your guests. And then there’s the nightmare of having to clean up all the mess the next day! Instead of going to the hassle of trying to host a party at home, why not make a booking at a party room instead? 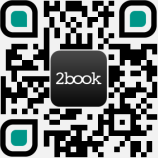 At 2book, we are the go to destination for people looking for birthday party venues and other celebrations in Hong Kong. Our directory includes party rooms all across the city, meaning that you will be able to find the perfect venue no matter where you are. From wild, boisterous parties to more subdued affairs, you will find a venue that matches your needs. Give your guests a party that they will remember for the rest of their lives by making a booking through 2book today! Celebrating a birthday? Or throwing a party for your children? We truly have venues for all occasions listed on 2book. Browsing through our directory, we guarantee that you will find the perfect venue for your event, budget and number of guests that you plan to invite. And alongside birthday party venues, 2book also lists everything from corporate meeting rooms to private kitchens. To learn more about 2book or to make an enquiry, we’re always happy to help. All you need to do is contact us today by filling out the form on our contact page, and we’ll get back to you in no time.